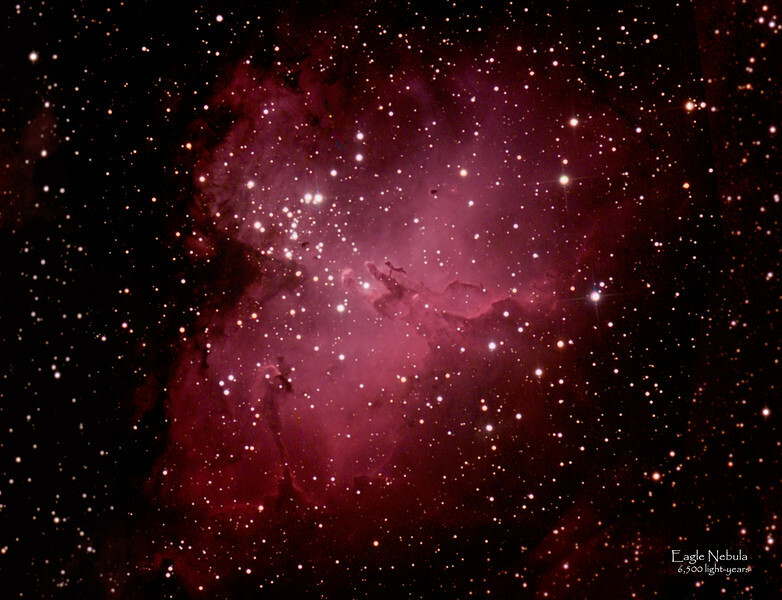 Eagle Nebula - 6,500 light years away. It is a diffuse/emission nebula. M-16 in the Serpens constellation. It has the appearance of an eagle and contains the Pillars of Creation made famous by various Hubble Telescope pictures.